In wilderness, you need to stay safe and build a fire whenever you need one. It’s not always simple, as the weather conditions might not be in your favor. For a good fire starter, knowing more about the best waterproof matches available on the market is the spot to start from. Depending on where you think you will use these matches, you have a large variety you can choose from. The most reliable matches that will prove to be extremely efficient in harsh conditions are not what you will need for a regular camping weekend. That’s why we have more information about different brands and the specific features of their waterproof matches for you. 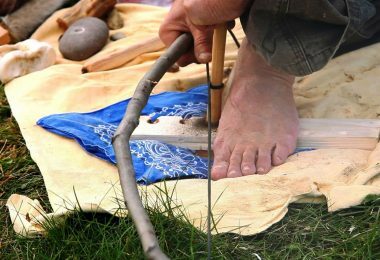 Are you ready to complete your fire starting kit or put one more item in your survival kit? Let’s see what properties should a regular waterproof match have and identify its upgrades to unbeatable waterproof and windproof matches! Regular waterproof matches are easy to do at home or purchase online and from various stores. They are not the best of the best, but a little rain will not stop them from lighting up and burning for a short while. For waterproof matches, there are a few factors you need to look at before choosing a product. No matter how waterproof a match claims to be, its ability to stay useful in your pocket or pack is huge. You have to know that you can rely on them to light on when you need. Having great matches in a horrible pack will cost you functionality of the match. The reason is because they can slip out and get lost in your bag, the striker can degenerate and leave them useless, or the package can trap moisture and cause them to be gummy. Whether it’s a plastic tube or a more sophisticated case, it should have certain features such as air tight closing, light weight, the ability to float on water, not sink in it, enough space to store as many matches as possible and an ergonomic shape to fit it in your bag, pocket or other places. Moreover, the striker pads should be safe inside it. If you have a match that is too small to comfortably hold while lighting it can give you as much trouble as if they won’t latch at all. If it is to short it can mean that your fingers will get burnt as you are trying to light your fire, especially in windy situation. There is a difference between just wanting to have a few on hand for emergencies and making them your one and only way to light a fire. 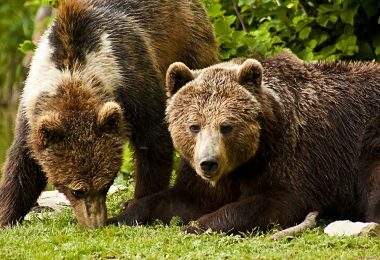 If you are only getting them for emergencies, only camp occasionally, or even if you do plan to use them a lot, you need to know how long they will store for and in what kind of conditions they need to be stored. There is nothing worse than trying to light a match that is expired. Don’t light match after match because the wind puts the fire off! Save them by opting for both waterproof and windproof matches. In order to be prepared for surprise storms, you can add a case of high quality matches in your survival kit. Be sure that you know what each manufacturer considers extreme. Windproof, wind resistant, water proof, water resistant, and weather proof are all different terms that can be confusing. There are match tubes that have phosphorous pads on the top and on the bottom. These may become impossible to use, so it’s best to put some inside as well. While most waterproof matches are almost strike anywhere matches, being safe is better than being sorry. Below is a list with 5 types of stormproof and waterproof matches recommended for various circumstances. Having the right tool at the right time is part of what it takes to be prepared. We took our own advice and included the important things to look for so that you did not have to spend hours scouring the internet. Best use: This is just right for harsh weather condition and all around use. 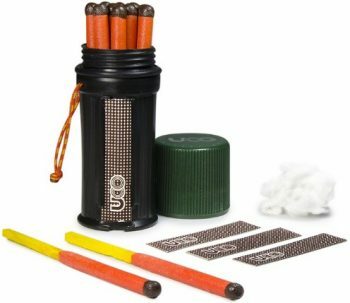 The UCO Titan Stormproof Match Kit is here to switch your focus from having capable matches to light a fire in need to other survival issues. Their users were really impressed by their size and the fact that they’re exactly as advertised. The case in which they come from is made of plastic, so they are easy to carry. However, they are known to be a lot larger than other matches with the same properties. The striker pad that comes along with the 12 waterproof matches is also waterproof, but it cannot be used underwater. Although bulky, these huge match sticks have the ability to save your life when a storm hits and you are in the wilderness. If you’re worried you might drop a match in a puddle, worry no more! It will stay lit underwater, so you can just pick it up and light that fire! Your success is guaranteed as long as you have them with you or in your bug out bag. 25 seconds should be enough to get the fire started and stay safe for a while. Related: If you are looking for more security in your ability to light a fire, look at purchasing Fiber Light Fire Starter to put with it. The fiber is in a tin and is also water resistant. Best use: These have a universal use. The Storm Proof Match Kit BigTProducts is no titanium match kit, but it’s really close. The matches are of extremely high quality and will not let you down. They are long enough to burn for 15 seconds and not let heat get to your fingertips. In addition, they will stay lit when water is pouring down on them or if you drop them. This kit comes with 3 striker pads and it has enough room for you to add more match sticks. Initially, it contains 25 pieces, but you can add 15 more! Reliable when you are in nature and you want to make a fire, these water resistant matches should be handy in vital situations. If the incorporated striker pad becomes useless, you will find 2 more inside this kit that will save the day. Whether you are now putting together a fire starting kit or want to improve the one you already have, these matches could be a fantastic addition. Related: Sometimes the problem with starting a fire is having the timber. 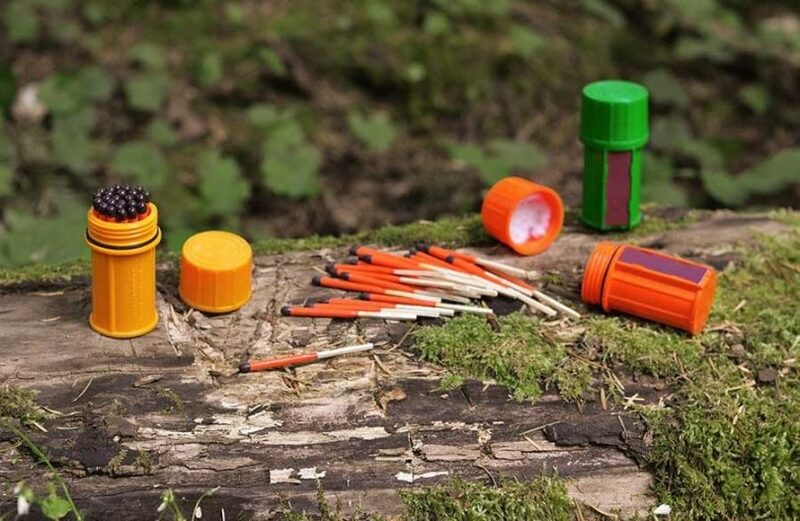 With this Firestarting Tinder Torch Survival Tin you have tinder that will go perfectly with your waterproof matches. Best Use: Perfect for windy or rainy conditions. The Coghlan’s 1170 Storm Matches can prove to be lifesavers! 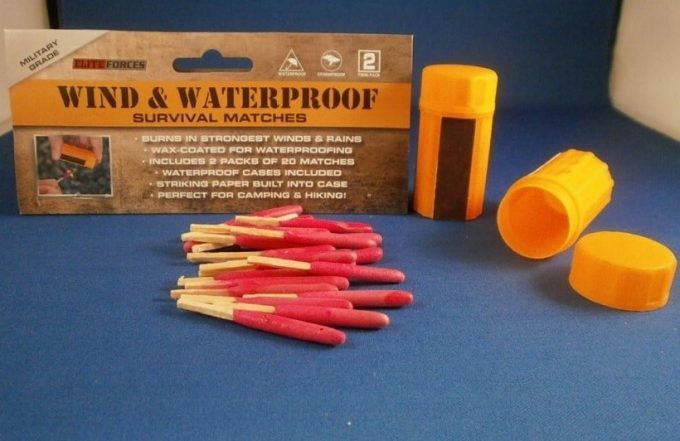 These waterproof and windproof matches aren’t made for survivalists only. They should be part of any hiker or camper’s bag. Since they are lightweight and come with a case provided with striker pads, they can be nicely fitted in any small compartment. The burning time of one match stick is around 10 seconds, which is less than other waterproof matches. Depending on which situation you want to be prepared for, you can opt for these or for an upgraded version of them. The red tip of every match emanates a thick smoke, similar with that of a road flare. Maybe this information will give you an idea of one of its alternative uses. Coghlan’s Storm Matches don’t have an expiration date, especially if you keep them in a zip-lock bag and low humidity conditions over the years. Related: If you would like to make sure that you have plenty of kindling everywhere you go, think about adding Fatwood Sticks Magnesium Chips to your emergency kit as well. The Survival Matches NATO Approved have a more general use than the specific ones that are made especially to last and be used in rainy and windy conditions. These matches are good to have, but you have to consider a few aspects. According to multiple users, the plastic tube that contains 25 waterproof matches can be easily opened because it doesn’t screw in. Theoretically this wouldn’t be a problem since they are supposed to be water resistant. Even so, they could fall out of your bag or get so wet that the red phosphorous that is inflammable becomes something like a paste. Since these wonder matches are not strike anywhere matches, you have to be prepared with a few extra strike pads. The strike pads that come along with the plastic tube don’t last very long. Only about half of 25 match sticks can be lit with it. As long as you plan on using them in less extreme situations, these survival matches will not let you down. Perfect sized for any bag. 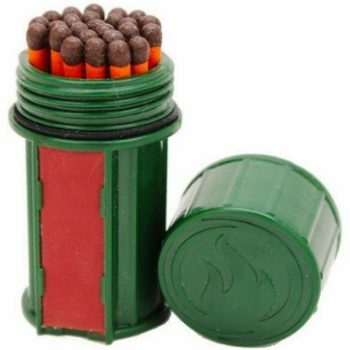 Related: To get around the bad striker and case, you could purchase the UCO Firefly 3-in-1 Waterproof Match Container. It is waterproof, shuts securely, has a LED light, and contains replaceable strikers. 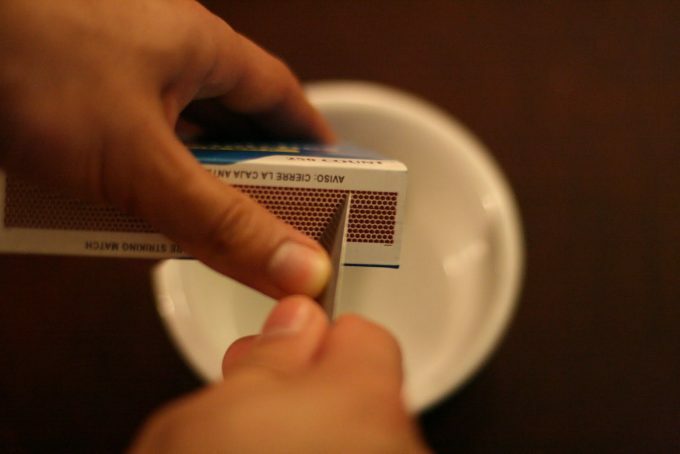 Best use: These types of matches are meant for outdoors use. 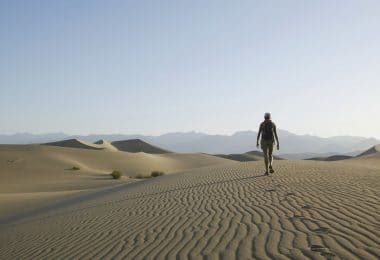 They are specifically recommended for camping. 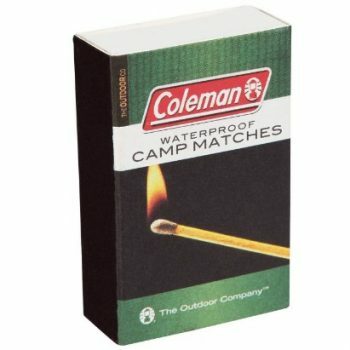 The Coleman 829-205T Waterproof Matches are pretty decent matches. Various users were not too pleased by their quality. 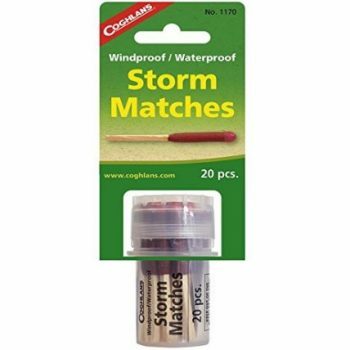 However, there’s a big difference between stormproof matches and simple waterproof matches. This brand might not be the best there is out there, but their matches are not totally useless. 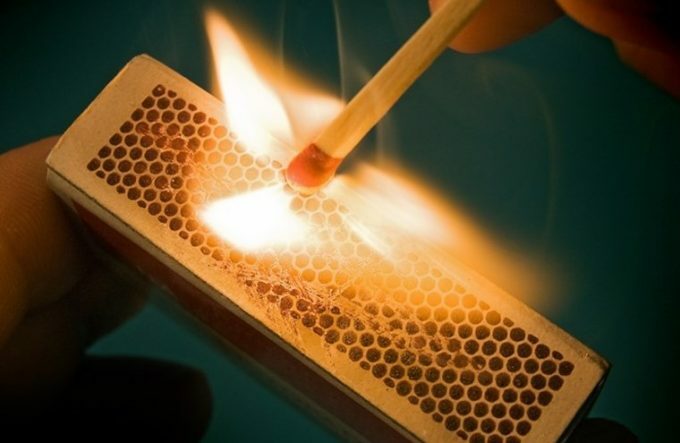 If you are careful enough, the match sticks will not break and the red phosphorous will not dissolve unless it is kept in a very humid or wet place. While you can’t rely on Coleman’s waterproof matches in extreme situations, you can light a fire when you’re out camping. 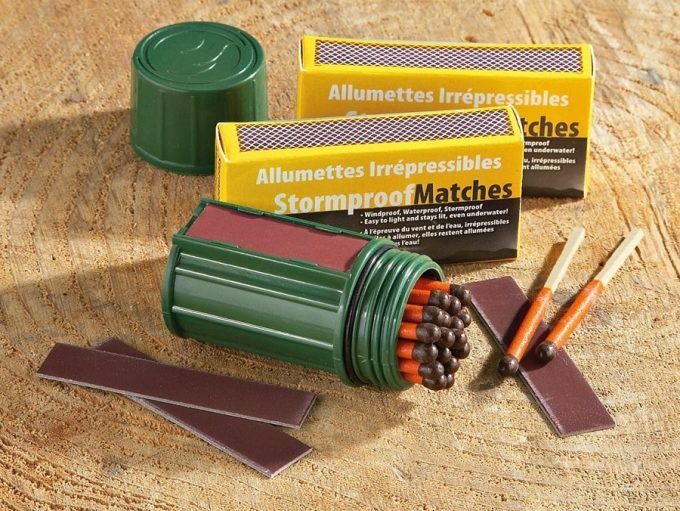 Keeping the stormproof matches for more dangerous situations is a great idea if you already own a pack of these matches. Since they come in regular boxes, don’t expect them to be water resistant or able to light up if the striking pad is wet. Must be stored correctly otherwise they get gummy and won’t lit. Related: Think about adding this Ultimate Fire Starting Survival Kit Magnesium Chips to your purchase. 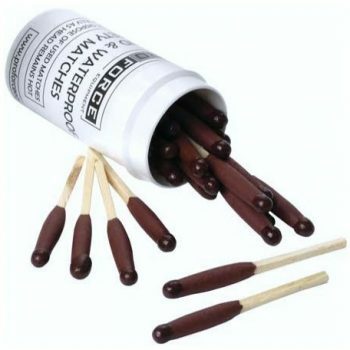 The match case has a striker, is water-proof, and shuts securely. They tin has magnesium and tinder to help you start a fire quickly. Waterproof and stormproof matches should not be a mystery to you anymore. Their features are pretty straightforward, so all you have to do is to think about where you’re planning to use them. You don’t need NATO approved matches in any circumstances. That’s why you don’t have to waste money on something that you don’t need. However, if you’re preparing for the most unusual and dangerous situations, then by all means, get those and another type just to be sure. Keep in mind that camping matches and regular outdoor matches will not get your through the apocalyptic times. Most match kits don’t include a large number of matches. Purchasing more is ideal because you will not find them in case of crisis anymore. 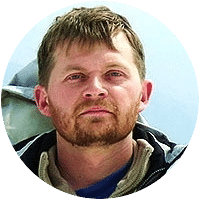 Multiple survival movies teach us that scouting trips could bring bad news and that’s something no one wants. Put more cases in your bug out bag and inside your survival kit and add some in your car as well. You never know when you will need them!